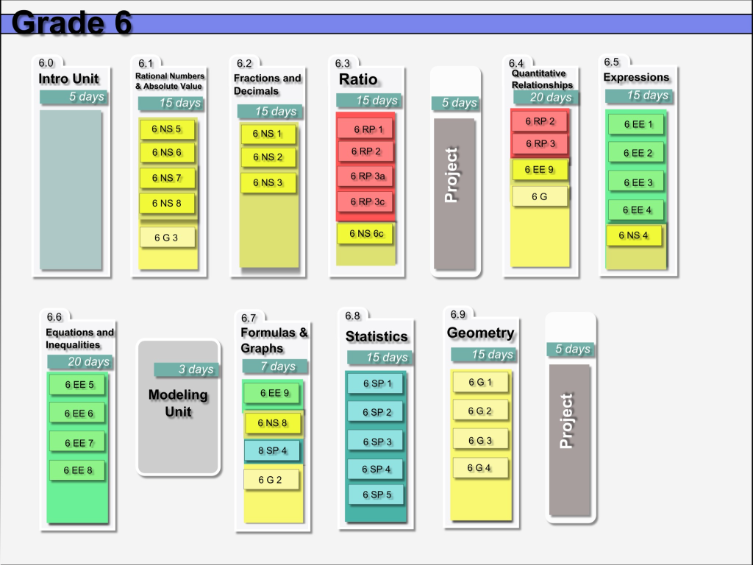 Here are a Common Core aligned set of math resources organized in a scope and sequence for grades 6-12. What makes these valuable are the organization into grade level scope and sequences with links for online materials tied to each standard. Click on an image for a better view. The complete series is available at the website above. 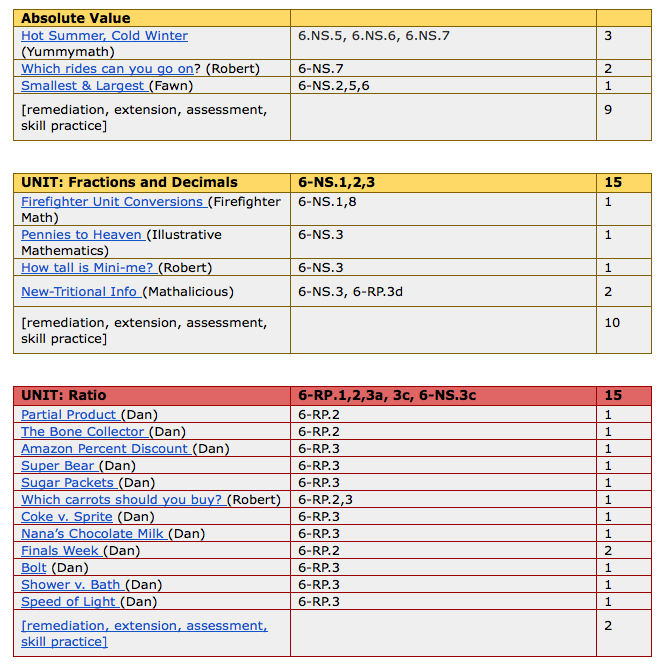 The materials are problem based activities that could be added to any unit addressing these standards. This entry was posted in AOS 98, BRES, BRHS, Curriculum, Edgecomb, Georgetown, Southport. Bookmark the permalink.